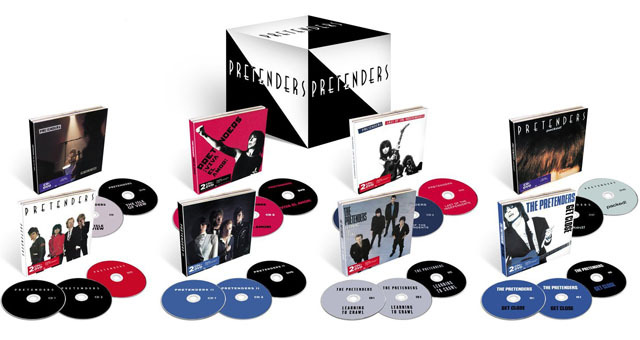 Share the post "Album review: THE PRETENDERS – Reissues (Box set)"
‘Icon’ is an overused word in the entertainment industry. But not so in the case of Chrissie Hynde the driving force behind, and in all but name, The Pretenders – one of the most successful bands of the 1980s and 1990′s. And 35 years on this uncompromising woman is still producing fantastic music – last year’s Stockholm more than equalling any of the album releases across her career. But what we have here is some neatly packaged re-issues covering the Warner years 1979 – 1999 on which Edsel have done their usual professional job. 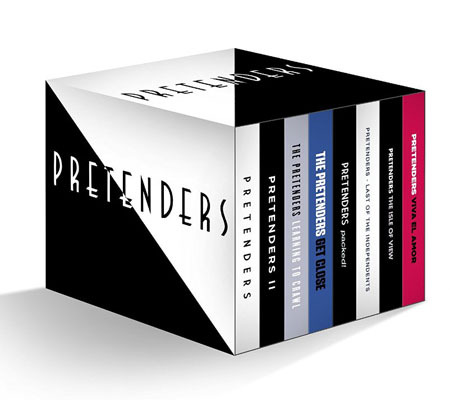 The majority come in a 2CD / 1DVD format with the DVDs (not available for review) bringing together all the promo videos and BBC appearances (TOTPs, Jools Holland etc), and the bonus CD’s all manner of B-sides, demos, extended and alternate versions, live tracks and songs for soundtracks. Manna from heaven. Available individually or as a box set, the collective set offers little by way of extra enticement – seemingly only a relatively unexciting 3 sided storage ‘box’. And the discerning will, almost certainly, want to add the pretty decent Loose Screw/Loose in LA CD/DVD, and the aforementioned Stockholm. 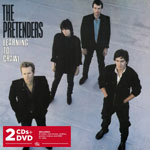 Formed in 1979, the newly formed band with Martin Chambers – drums, Pete Farndon – bass, and James Honeyman-Scott – lead guitar, hit the charts on both sides of the Atlantic with their eponymous debut Pretenders (1980), largely on the strength of the leading 1979 singles ”Stop Your Sobbing, ‘Kid’, and ‘Brass In Pocket’. Add in the marvellous ‘Private Life’ and you’ve got a clutch of timeless gems. The success brought pressure for an immediate follow up – a gap plugged by the Extended Play EP featuring two new tracks including ‘Talk Of The Town’, and two outtakes from their debut. 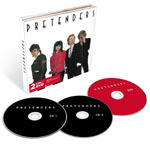 In this format the latter feature as bonuses on their debut and the former, as they did – as part of the Pretenders II (1981) setlist. But the standout track on that album was a cover of the Kinks ‘I Go To Sleep’ and, the singles aside, it largely fell victim of the rushed second album syndrome. Less than 12 months later disaster struck with Farndon and Honeyman dying – within two days of each other -from drugs. Hynde was undeterred – she’s fired Farndon days before his death and the ensuing album Learning To Crawl (1984) was a patchwork affair with a temporary line-up featuring Rockpile’s Billy Bremner and Big Country’s Tony Butler recording the 1982 single ‘Back On The Chain Gang’ / ‘My City Was Gone’, and Bremner, Graham Parker’s bass player Andrew Bodnar, and Paul Carrack playing on the classic ‘Thin Line Between Love And Hate’. Get Close (1986) saw more transition as Hynde fired Chambers to become the sole survivor of the original line-up. Nor was she afraid to change her supporting cast mid tour when the chemistry simply wasn’t right. The album stitched together sessions with a variety of players and producers but nevertheless yielded two #1 singles – ‘Don’t Get Me Wrong’ and ‘My Baby’, and the magnificent ‘Chill Factor’. It marked a shift away from the punky new wave roots that permeated the first three releases with Bowie-esque white soul / funk elements (‘Dance’ / ‘How Much Do You Get For Your Soul?’). And so it was that Packed! (1990) was effectively a solo album. In this re-issue series the only bonuses are 2 singles B-sides. In hindsight, having shed the deadweight of a band and assumed complete control, it marked the start of a run of albums that would be some Hynde’s most consistent mainstream work. Prior to hearing the extended edition, I’d always considered ¡Viva El Amor! (1999) one of Hynde’s weaker sets. A contract filler perhaps? Even the cover – a Linda McCartney shot – is unexplainably naff. But the quality of the bonus material – easily the strongest across these re-issues – has caused me to re-evaluate. The mark of a great singer is one whose vocals are instantly recognisable, no matter what the song. And a great songwriter, one whose songs can be stripped to their very essence and lose nothing in the translation. Hynde ticks both boxes. In abundance. To achieve this – consistently over 35 years – originally as a stranger in a strange land, and in a predominately male industry is quite remarkable. Iconic, even. 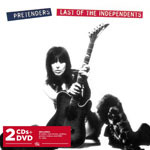 This entry was posted in ALBUM REVIEWS, ALBUM REVIEWS (Mobile), All Posts, Reissues and tagged album, box set, Chrissie Hynde, DVD, Get Close, Isle Of View, Last Of The Independents, Learning To Crawl, Packed!, Pretenders, reissue, review, rock, Viva El Amor. Bookmark the permalink.